1.Crusher system adopts hard alloySaw blade head, can crush all kinds of fluff pulp, crushing capacity can up to 600-1000KGS/Hour. 2. Double fluff core drum forming system, with long fiber and better absorbent capacity. 3. With warning function for SAP in lower place. 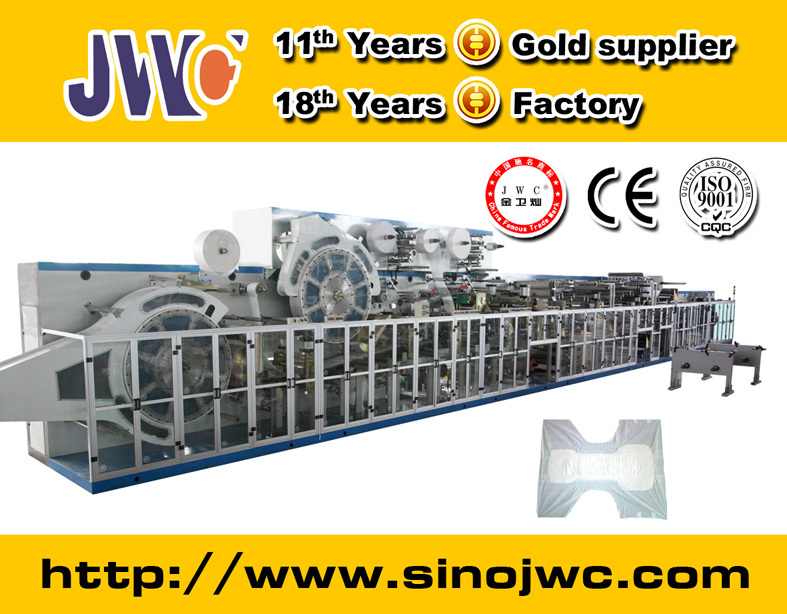 4.Raw materials Automatic unwinding system. 5.Raw materials Automatic tension control system. 6.Raw materials Automatic splicing system. 7.Raw materials Automatic web guiding system. 8.Automatic inspecting when any of the raw materials lacking or breaking off, except glue, elastic ribbon and fluff pulp. 9.Raw materials Automatic inspecting for raw material splicing parts. 10.Waste product Automatic detection system. 11.Hot-melt applicator is set in front of the machine. Such bridge style makes it easy to feed the glue and control the temperature. 12.The machine equipped with protection door device. Looking for ideal High Speed Adult Diaper Machine Manufacturer & supplier ? We have a wide selection at great prices to help you get creative. All the Adult Diaper Pad Machine are quality guaranteed. We are China Origin Factory of Cheap Diaper Machine. If you have any question, please feel free to contact us.